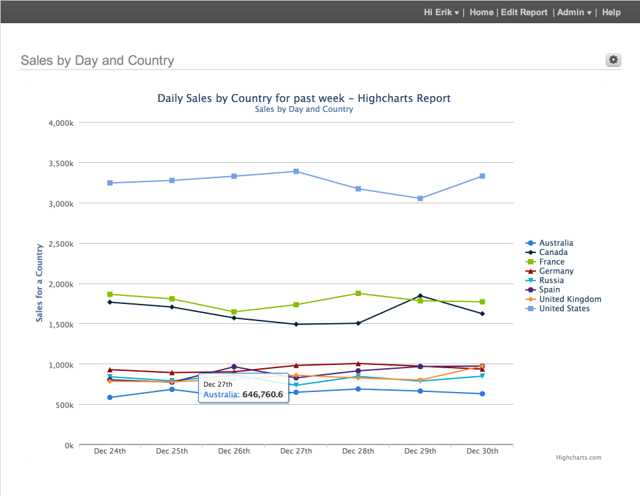 Metric Insights includes the Highcharts charting library and provides several Highcharts chart types. These types are shown here. 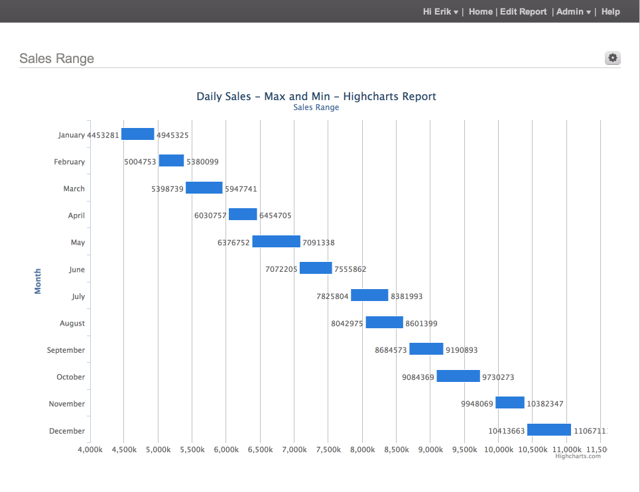 You can modify these charts to behave the way you want, and you can extend this library by adding other types of Highchart charts.